Chatrium Hotels and Residences, a hospitality business within the empire of banking tycoon Chatri Sophonpanich, plans to open three new properties – hotel rooms and serviced apartments – in Bangkok and Phuket in the next three to five years to cash in on increased travelling after the Asean Economic Community takes effect. This is part of its strategic business plan for domestic expansion, having yet to make any move to go abroad to take advantage of the AEC’s benefits. “We are not focusing on rapid expansion,” managing director Savitri Ramyarupa told The Nation. It expects to open two new properties in Phuket and one in Bangkok’s Bang Na area over the next three to five years under its Chatrium brand, she said. In Phuket, she said one of the properties would be a 200-room hotel and serviced-apartments complex on Surin Road in Muang district. The other is still in the planning stage, but will be on Rawai Beach. Earlier, the group took over a 129-room hotel on Sukhumvit Soi 18 from a foreign owner and transformed it into the fifth property in Bangkok under Chatrium management. The hotel’s name was changed to Maitria, a new sub-brand that features modernity meant to appeal to younger guests who do not need full services, but do want easy access to transport and the Internet. The Maitria was just opened in mid-August. 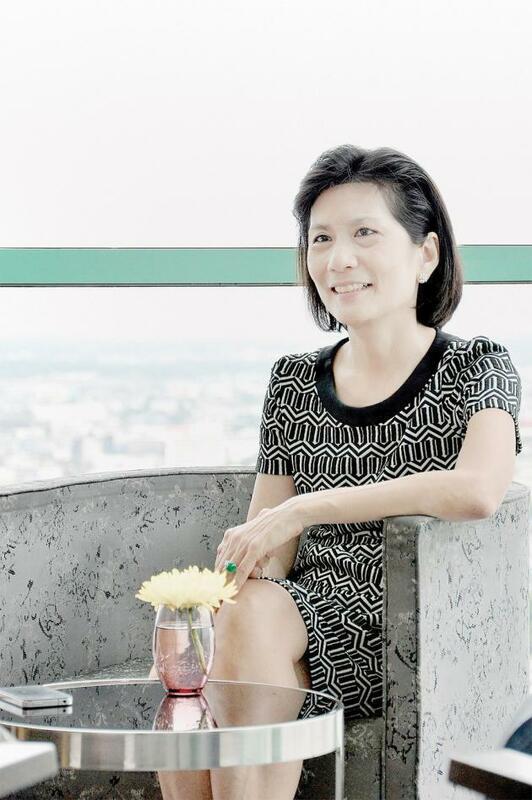 After being assigned to oversee Chatrium six years ago, Savitri has carved out a niche in her father’s hospitality business, starting from the family’s own plot on Charoen-krung Road along the Chao Phraya River and building a hotel and serviced apartments. They were named Chatrium Hotel Riverside and Chatrium Residence Riverside. Now, Chatrium operates five properties, including the new Maitria. They comprise both luxury hotels and residences in Bangkok in such areas as Charoenkrung, Sathorn and Sukhumvit, with a total of 1,700 rooms. It also has a hotel in Myanmar that opened in 1998. It was renamed Chatrium Hotel Lake Yangon in 2011 after being part of an international chain for 10 years. The hotel has been profitable for two years and expects continued profit this year. Savitri believes new technology and the viral effect of social networks’ “experience and share” phenomenon could enhance Chat-rium’s sales amid the intense competition of the hospitality industry. Once she is ready to think about expanding overseas, she does not think using an international hotel chain would be the way to go. Though a chain could do better in terms of brand building, sticking with the family company would allow more flexibility. Strategically, Chatrium has yet to rush into new markets while it has a small workforce of around 1,300 people. However, she said the firm had an in-house training unit. “We aim for a mix of guests between those who come for business – 60 per cent – and the rest for leisure, as well as foreign guests,” Savitri said. She believes the tourism industry will improve now that the government has set a target for 2015 as a “year of tourism”, with an estimated 22 million tourist arrivals. Thailand, especially Bangkok, is a destination that can recuperate from any situation rapidly. After the May 22 coup, the group saw the number of guests, especially Chinese and Japanese, immediately drop, but after a couple of months it swung back to a more normal average of 70 per cent.